Happy Father's Day! Dad And His Child Daughter Are Playing And Having Fun Together. 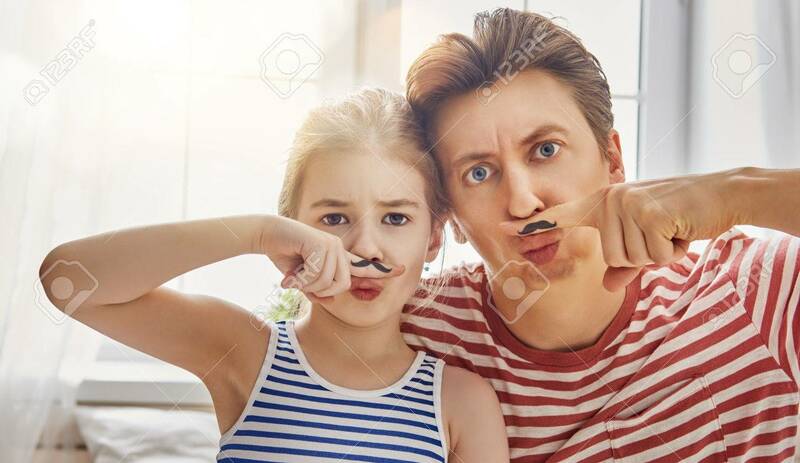 Beautiful Funny Girl And Daddy Have Mustache On Fingers. Family Holidays And Togetherness. Foto Royalty Free, Gravuras, Imagens E Banco De Fotografias. Image 76828940. Banco de Imagens - Happy father's day! Dad and his child daughter are playing and having fun together. Beautiful funny girl and daddy have mustache on fingers. Family holidays and togetherness. Happy father's day! Dad and his child daughter are playing and having fun together. Beautiful funny girl and daddy have mustache on fingers. Family holidays and togetherness.